 GED Achievement ® is proud to be a Biosphere Member. The GED (General Education Development) is a certificate awarded by the Ministry of Education, earned by individuals who never completed traditional high school. Carrying the same weight as the OSSD (Ontario Secondary School Diploma), it entitles people to apply to colleges, universities, and enter apprenticeship programs. Started in 1996 by Roy Hardie, it grew to include programs offered in the GTA north to Lake Simcoe, west to Niagara, and also delivered programs to employees sponsored by corporations. With changing times, the number of locations has shrunk to just two in Toronto, still offering a program often lauded for being the cheapest, shortest – but with the highest success rate in the province. We have some clients here in the Parry Sound area that have worked to earn their Ontario High School Equivalency Certificate. GED Achievement is focused on running as green a business as possible, mainly by reducing the amount of paper files and paper communication. So much is digital these days, and we can do our small part to reduce the numbers of trees lost and to use recycled paper products only as needed. Learn more online or contact us at 705.746.9111 or [email protected].